Tyvek wristbands with 'Drinking Age Verified' printed on them in Red. 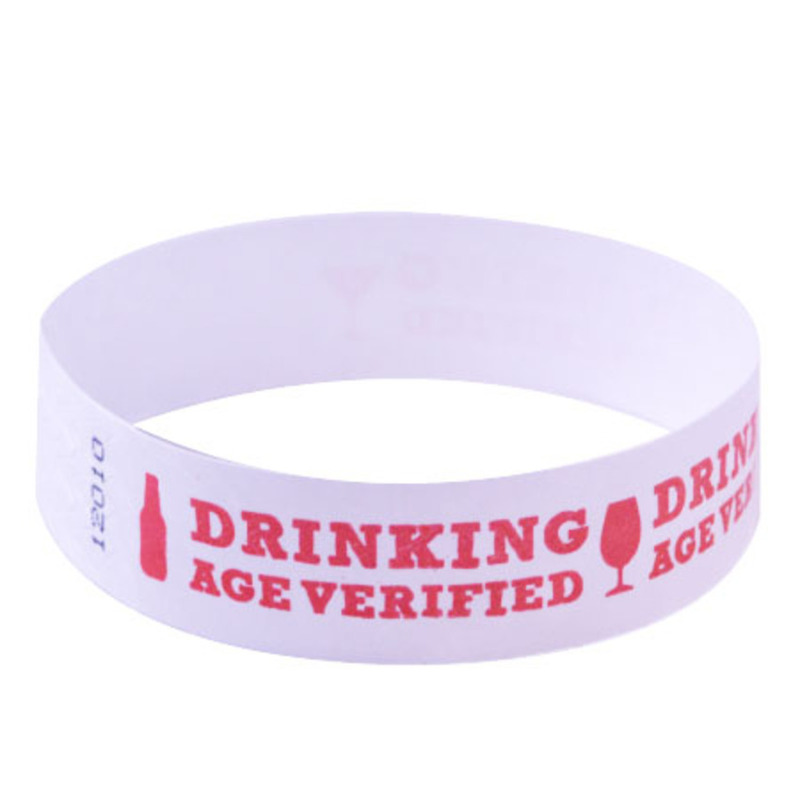 If you need to make sure only your guests who are old enough to drink are permitted to, than be sure to give them one of our 'Drinking Age Verified' wristbands upon entry into your venue/event. These Tyvek wrist bands are a great way to identify which guests are of legal drinking age at any bar, restaurant or club. Our event wristbands are made of Tyvek and won't stretch or tear. Tamper-proof security cuts prevent transfer from one guest to another.